Today I am going to show you how to install and use macchanger utility in Ubuntu. Ans. 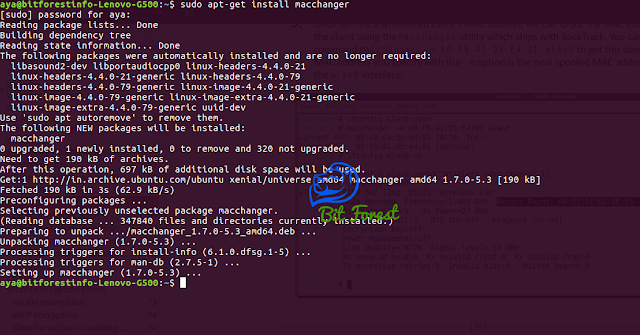 Mac Changer is Very Useful Utility That Allow Us To Spoof Our Wireless Card MAC Address. In Simple Way, MAC Changer Help Us To Change Our Original MAC Address With Any Other Temporarily MAC Address That Can Help Us To Bypass MAC filter Security. Generate Specific Mac Address Using -m argument.